Show off a little bold style with your clean, classic sneaker look in the SKECHERS Street Sweet - Step On It shoe from the SKECHER Street collection. 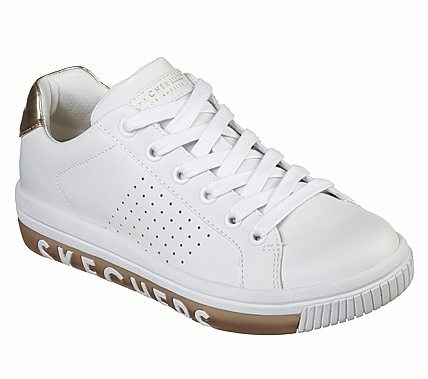 Smooth leather and synthetic upper in a lace up classic sporty tennis-style sneaker with stitching and perforation accents, bold logo detailing on midsole. Rise Fit comfort insole.